If possible, I am more excited about the upcoming release of Highland Courage than I was about Highland Solution. Highland Solution was my first foray into fiction. It was a story that I had imagined for so long that I never believed that I would create another story that I loved more. I think I have with Highland Courage. So with the release of Highland Courage just five weeks away, the theme for my upcoming blog posts will be “Courage” in its many forms. I hope to have some guest bloggers share stories of courage. 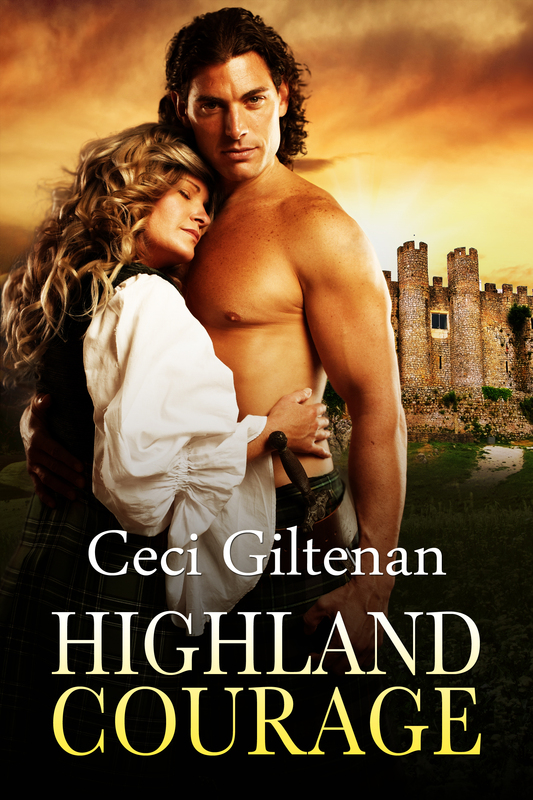 I plan to share some interesting tidbits and excerpts from Highland Courage along the way. Perhaps we will even have a few character interviews. I am going to start by sharing how I came up with the title “Highland Courage.” Initially, my working title was “MacKenzie’s Mouse” because the heroine, Mairead MacKenzie was called that. This excerpt from the first chapter explains why. Mairead has just learned that her parents are seeking a betrothal for her. She is upset and one of her brothers, Quinn, is trying to understand why. She hated the nickname “MacKenzie’s Mouse” and no one within the family used it. However, many people outside the family and clan did, although it was her appearance and not her temperament that initially gave rise to the name. Da’s children by his first wife were tall and blonde with crystal blue eyes. Although her mother was petite, all Mama’s children from her first marriage were also tall—frankly, Peadar and Rowan were huge—and they all had Mother’s dark hair and dark brown eyes. Remarkably attractive, all eight of her older siblings turned heads. Even at four and ten, Flan was a head taller than most lads his age and already showed signs of having the dark good looks of Mama’s family but with Da’s bright blue eyes. More like her mother, Mairead was smaller than her siblings, with light brown hair and pale grey eyes. She felt mousey in comparison. However, Quinn was right. She would never admit it to him, but something had changed seven years ago. The story is very much about Mairead’s journey to discover her own strength and self-confidence, and the man who makes the journey with her. Courage, in its many forms, is so very prominent in the novel that the title, Highland Courage, suddenly seemed obvious. Before I close today, I would like to issue an open invitation for any reader, or author who has thoughts or a story to share about “courage” to let me know in a brief comment. I will contact you and if you wish, feature your story on my blog this month. This entry was posted in Uncategorized and tagged Courage, Highland Courage. Bookmark the permalink. You will find yourself falling more in love with each book you write. Our books are like our children. Yes, we love them all the same, but each one is different and holds a special place in our heart for different reasons. Courage isn’t the absence of fear. Its doing that one thing that scares the hell out of us even though we’re afraid. I for one am very proud of you! Thanks Suzan! I thought a lot about the idea that Courage isn’t the absence of fear. In fact, in Highland Courage, Tadhg quotes an ancient proverb, “Fear and Courage are brothers.” In some ways it takes fear to define courage. For me courage is facing someone or something straight on, even when you want to throw up instead. It doesn’t mean forgiveness. It means that you know and are dealing with whatever it is on your terms. Courage means continuing on with your life and trying daily to make it good. When we take the cloak of fear and use it as a shield of courage we can overcome our obstacles. Looking forward to reading Mairead’s journey. I do have a story of courage — one that put me on the path of discovery and would enjoy sharing it with you. This is a beautiful look at Mairead, Ceci, and I’m now more eager to meet her than ever before. This is going to be a wonderful read, I know. I, too, have a courage story (lots, actually) and would love to visit your blog during your Month of Courage. Courage isn’t something you think about, it just happens (especially if it involves your loved ones). You never know what your reaction to a situation is until that situation occurs. Your strength comes from your heart and soul, not from your head. Can’t wait to read your new book. Congratulations & Hugs. You are right, sometimes courage isn’t something you think about and strength comes from your heart and soul. The young Indian man who gave his life recently to prevent a suicide bomber from potentially killing hundreds in his school simply acted. However, sometimes courage isn’t something that just happens. Sometimes one has to dig deep and find the strength to face a challenge. I do hope you enjoy Highland Courage.